For about as long as humans have worn clothes and needed shelter, fabrics have been in use. Natural fabrics -- including but not limited to silk, cotton, wool, and linen -- are made from natural materials and were the only fabrics available for many years. As technology grew and advanced, people began to search for new options and attempted creating fabrics rather than using the ones that had always existed. Ideally, these new fabrics would improve on the limitations of natural fabrics and perhaps even be cheaper to manufacture. Because there was no synthetic fabrics council overseeing these creations, the history of synthetic fabrics begins separately with each different type of synthetic fabric as it was created. In the very beginning, attempts at creating synthetic fabrics were really just attempts at recreating natural fabrics and possibly improving them, or at least driving down their production costs. Audemars, a Swiss-born chemist, received the first patent for artificial silk in the 1800s. He made the fabric from the bark of mulberry trees. This progressed into Sir Joseph Swan creating rayon around the same time using a similar process to Audemars. Rayon, a hugely popular synthetic fabric today, is incredibly soft, moisture-absorbing and easily dyed. A variation of rayon called modal has also gained popularity recently. Also in the 1800s, PVC was discovered, though it was an accident and the first PVC patent wasn’t filed until 1913. PVC is used as a water-resistant coating for fabrics, which is very important for fabrics that are meant for outdoor use. Manufacturers often opt for PVC because of its durability. In most cases, these early fabrics are still in use today, though most have been substantially improved over the years. Synthetic fabrics designed slightly more recently include spandex, nylon, and polyester. Nylon, invented in 1935 in a DuPont Chemicals laboratory, was introduced to the market around 1940 in the form of hosiery. It gained popularity pretty much instantly because stockings had previously been made of silk and nylons were able to offer an inexpensive alternative. In 1941, polyester was invented by chemists at the Calico Printer’s Association. In the intervening years, polyester has become a huge part of the fabric landscape. In 1959, spandex was added to the synthetic fabric landscape. Intended for use as a synthetic version of latex, spandex is more porous but less durable than the original. Spandex is used for clothing, of course, but is also popular in the hospitality and medical industries. Kevlar, the material most popular for its use in bulletproof vests, was introduced in 1966 and has more than 200 uses, including in car tires and tennis rackets. In recent years, synthetic materials have been receiving a bit of backlash in the public eye. Where synthetic materials used to be viewed as innovative and fashionable, anything that’s not natural or organic can get a bad rep these days. There are, of course, valid arguments on both sides of this debate, though it’s not slowing researchers down. It’s also not really affecting the use of the fabrics -- in 2014, synthetic fabric imports overtook cotton imports in the United States. Researchers aren’t stopping at just the fabrics that have already been released and put into production, either. In September of 2016, a team of researchers at Stanford created a new fabric they’ve called nanoPE, which uses smaller holes in the fabric than usual, which can in turn be spread out in a more dense pattern, adding a cooling effect to the clothing. Fabrics like this can be good for use in sports, for example. Examples like this are not few and far between -- researchers are working on future-tech materials and fabrics all the time. Why are flexible PVC composite textiles such powerful performance fabrics? 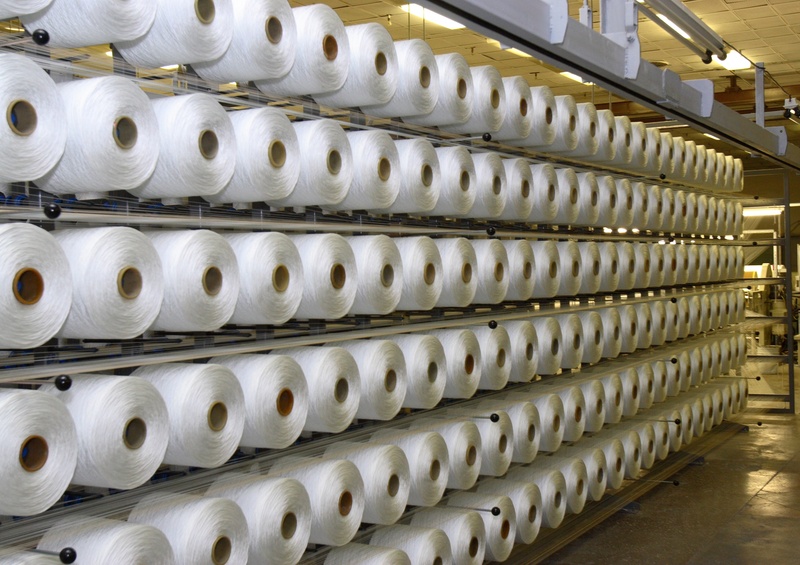 Download our white paper — The Flexible PVC Composite Textile Advantage — to find out.